Do you also feel that clickbait titles are nothing but a source of disappointment? I read a catchy title, I’m eager to learn something, I click, and I get to read the most simplistic series of commonplaces. So I won’t list the 10 ways to knit a ball. Instead I’ll make a short analysis of the elements that shape a ball and the choices you can make for every single element. Then it’s up to you to combine them into the ball of your liking. Obviously there are thousands of combinations, not just ten. I prefer to avoid seaming, but sometimes there’s no way around it. In a small object such as a Christmas ball it might even be the preferred option. It’s much easier to hide a stripe jog when knitting flat and seaming. In a ball the seam is on the inside anyway, nobody will see it. Even when working in the round, seaming is an option. 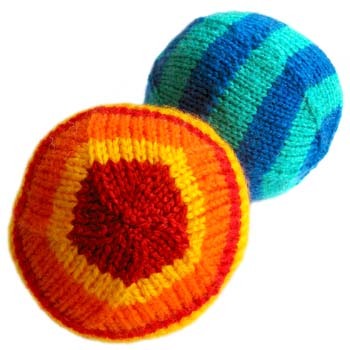 If I set similarity of the top and bottom half of my ball as the top priority, then knitting the two halves separately and seaming them together along the equator is the only option. Increases do have a different look than decreases. Working both halves separately from the equator to the pole and joining them afterwards allows us to use decreases only. That solves the issue. This pattern by Jessica Goddard from ODDknit works the ball in two halves but picks up the cast-on stitches from the first half to work the second half. Using short rows can be another way to avoid the increase/decrease issue. Instead of working the ball from pole to pole, you work along the meridians using short rows to shape the ball. This pattern from Brent Annable shows you how to do this. Brent closes the ball with a seam. That’s unavoidable when shaping it this way. 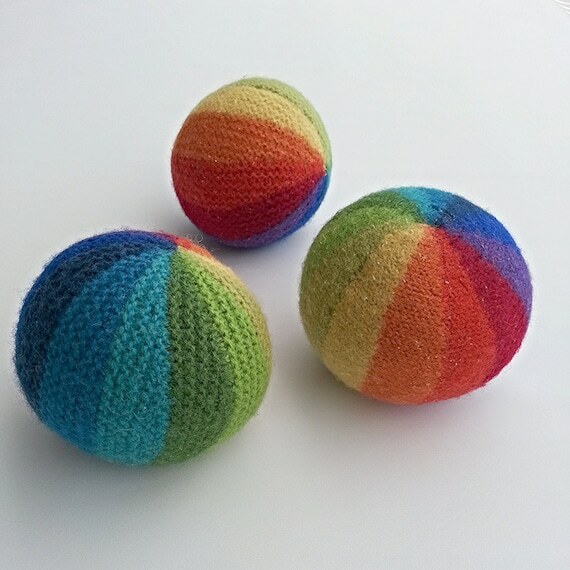 When making a ball with a different colour per segment as in this pattern from Heaven to Seven, short rows definitely have my preference. Just imagine how to do this in circular intarsia and you get an instant migraine attack! Most patterns however do use increases and decreases. Both placement and type of increase/decrease define very much the visual aspect of the ball. That’s something for next week though. 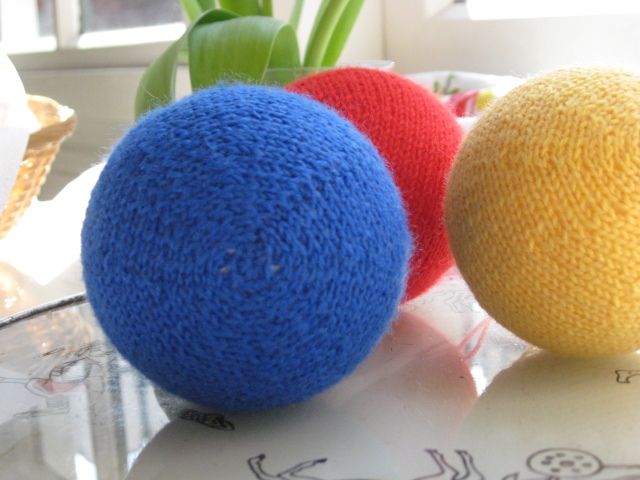 This entry was posted in Christmas Balls, Knitting and tagged Christmas Balls, Knitting, Mergelland, Single Breed Yarn on 6 Dec 2017 by Frank Ribbens. Maar om dit allemaal drie keer te schrijven heb ik echt de moed niet!